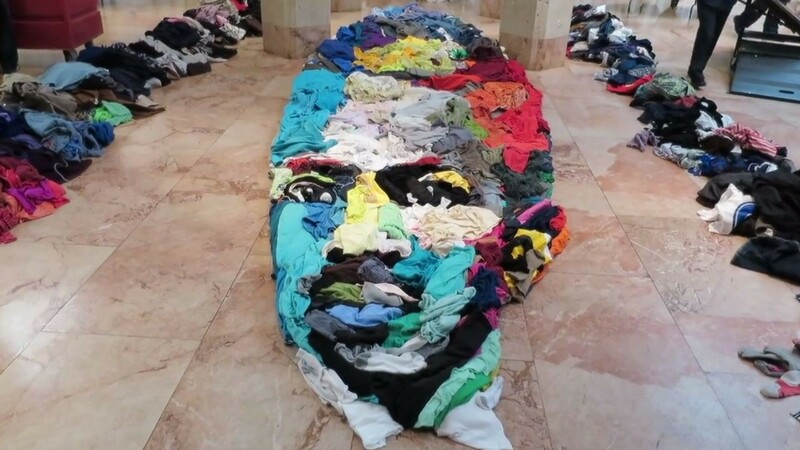 Here is the last project Noah Scalin did using clothes -- an anamorphic portrait of African-American photographer James Conway Farley. Richmond artist Noah Scalin, who recently became the first artist-in-residence at the VCU School of Business, has announced his first pop-up project: It will be a portrait of the late Richmond icon Maggie Walker made out of arranged clothes. The project will be called "Portrait of Innovation: Maggie Walker," and business students will arrange clothing donated by students, faculty and staff to create a 30-foot by 10-foot portrait of Walker based on a photograph provided by The Valentine museum, according to a press release. A reception will be held upon its completion Monday, Oct. 17, at 1 p.m. The work stays on display at Snead Hall through Wednesday, Oct. 19. Once dismantled, the clothes will be donated to Goodwill of Central and Coastal Virginia, the release reads. Jackson Ward's Walker became the first black female bank president in the United States in the early 1900s. Scalin has received national media attention for this same kind of project before (see video below). The installation is just one component of Scalin’s residency at the school during the 2016–17 academic year. Charged with helping the school institute its new strategic plan, which aims to drive the future of business through the power of creativity, Scalin will conduct several creative-thinking seminars and guest lectures. The university community is already taking part in a 30-day Creative Sprint challenge that Scalin issued Oct. 1. Scalin founded and co-runs the art and innovation consulting firm Another Limited Rebellion, which works with clients such as GE, Altria, Capital One, Gap, Intuit and Mozilla. He is creator of the Webby Award-winning Skull-A-Day project and the author of five books on art, design and creativity. His art has been exhibited in museums and galleries internationally, including the Mütter Museum in Philadelphia, the International Museum of Surgical Science in Chicago and Krause Gallery in New York. 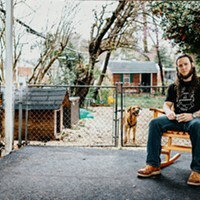 He has been featured in dozens of publications, including Fast Company, Business Destinations, Wired, USA Today, The Telegraph and The New York Times.